Proper Lost and Found forms for your customers to file claims for items are important for both your customer and your employees. When gathering claims, you are able to show your customer how seriously you take your Lost and Found department. This can be reflected in your Lost and Found Form. For example, if you hand them a scrap of paper to write their information down, they will not believe you are taking them seriously. 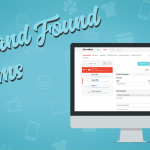 However, if you supply your customers with a well thought out, detailed, and professionally formatted Lost and Found form, it will show them how serious you are about reuniting them with their item. Category – is it a phone, watch, wallet, item of clothing, keys, etc? Always be sure to include a miscellaneous option. You would be surprised at the things people manage to lose, they do not always fall into a category. Description – ask them to include any unique details that only the owner would know. This could be a pair of sunglasses having a scratch on the left lens, a backpack having a patch sewn on, or anything else specific to their item. 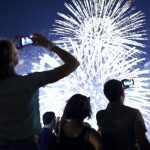 Their name – an important piece of information that sometimes gets overlooked. Contact information – email, phone, however you prefer to get ahold of them. Phones – ask for phones brand and the model. If someone just says black iPhone, it would not give you enough information to go off of. You can also ask the IMEI number, passcode, or background picture to easily verify. Backpack, wallets, or purses – a lot of people use the same brands so asking the contents inside will help you to verify ownership without having to contact the claimant. IDs, Debit and Credit Cards – for IDs, ask the birthday and address listed, and for credit or debit cards ask for the card type and the last 4 digits. Creating and implementing a Lost and Found form like this seems overwhelming. So many categories are dependent on getting different pieces of information, how are you supposed to include everything? If everything isn’t included, how can you match items to their owners? 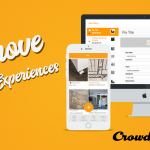 That’s where Crowdfind comes in. 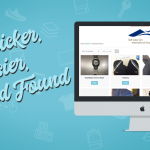 We created a Lost and Found form that we know works and that we can customize it for your company. Since it is a digital form, there is no way it can be misplaced, lost, or overlooked. If a customer wants to file a claim onsite, you can provide them the link to do so. 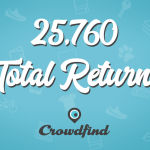 With Crowdfind, Lost and Found forms can be quick, easy, professional, and can give your Lost and Found department the best shot at matching claims to items and increasing returns. Find out how you can get started here.